How to get only the first rows from query results? How to deal with a single quote character in SQL? 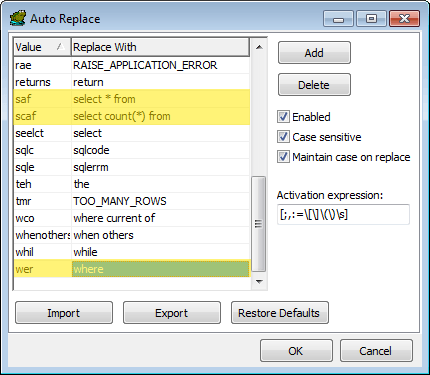 How to enable auto replace shortcuts in Oracle SQL Developer? In the Auto replace shortcuts in Toad post I showed you how to add auto-replace shortcuts in a Toad client. 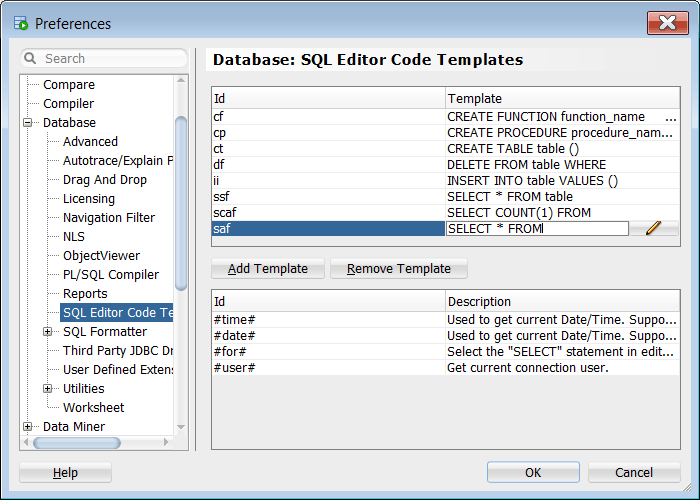 You can acheive the same in Oracle SQL Developer – here that feature is called SQL Editor Code Templates. 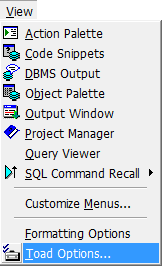 How to add a code template shortcut in SQL Developer? Now to use the auto replace code template type the shortcut and press CTRL and SPACEBAR keys. Shortcut will be replaced with a pre-defined statement. A very handy tip for Toad for Oracle client: you can create shortcuts for the most used SQL statements or whole queries by adding them to Auto Replace list. Thanks to that feature when you’ll type the shortcut in the editor’s area Toad will automatically replace it with a pre-defined phrase. How to add an auto replace shortcut in Toad? 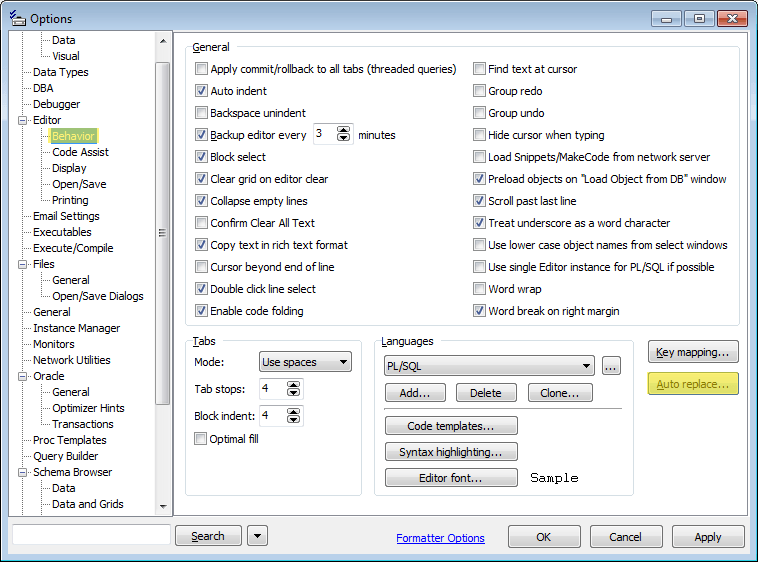 Choose Editor / Behavior and click on Auto replace button. Now after typing the shortcut Toad replaces it automatically with the whole phrase. You can also add shortcuts for whole SQL queries you use often. Keep in mind to create such shortcuts that won’t coincide with the names of objects like tables or columns. 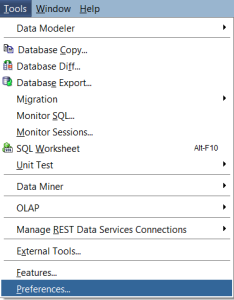 You can achieve the same effect in SQL Developer client – I described it in the Auto replace shortcuts in Oracle SQL Developer post.